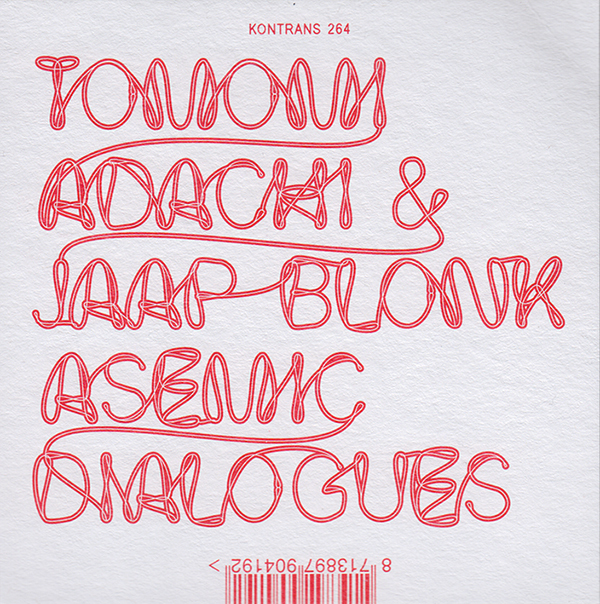 Produced by Kontrans, Tomomi Adachi and Jaap Blonk are extraordinary improvisation experimenters, two real specialists in the interaction between voice and electronics. In a video released in 2013, the Japanese artist shows his actions with the simple and naive question: How can you find meaning in sound? The answer is somehow implicit: there is none. Also the discussion about who might have the best instrumental technique isn’t very interesting for Adachi. “The voice is my own thing,” he explains, “using the voice I can discover new sounds and work with history at the same time.” There is also a clear reference to the tradition of sound poetry. The two performing artists began to work together in 2004. They played in different locations between Tokyo and Amsterdam. In their performances, they use many elements: words, fragments of sounds, whistles, clicks, scrapings, gongs and other sound manipulations, which become in their live shows a hypervivid mix of voices and special instruments. The voice can be provoking or aggressive, can tend to a didactic hilarity or towards moaning. Elements of some sounds, onomatopeia, words and noises lacking of any significance remind us of the Dada movements and the Grammelot culture, and also of gibberish, a dynamic meditation process used to free the mind with the surrender to a transcendental dimension. Asemic Dialogues has only two tracks. We find that the reciprocal relationship between the instruments and the guttural sounds is very insistent and liberating especially in the second piece. However, both can be defined as two very good examples of non-semantic poetry. The unexpected goals, born unawares during the creative process, are also due to a mediation, a crossing which is definitely not too much codified but it’s a mix of heterodox virtuosity skillfully managed in the final interpretation. Despite their long experience together on many experimental stages here and there, this is the first album from the duo. We are sure it won’t be the last one, because the power of expression of this combo is immediately clear to the lovers and also to the beginners of the genre.